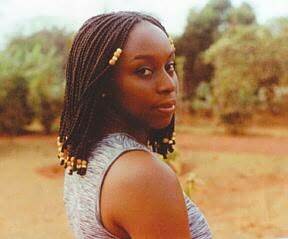 Chimamanda Ngozi Adichie, from Nigeria, is one of those authors whose name keeps crossing my path over and over again. Each time that it does I tell myself that I should really read something by her. Then just as quickly, I forget all about it. Thankfully I was reminded of Adichie once again when Kinna Reads blogged about Adichie's short story collection The Thing Around Your Neck. This time I went looking for something for something to read right away so that I'd not forget. Fortunately I was able to find one of her short stories online called "Quality Street" (yes, named after the chocolates) at the Guernica website. When I first began this story, I did as I often do when I read a story set in Africa (no need to jump all over that-- I realize it's a big continent), and that was reflect on the role of politics in Canada. Of course politics are important here, but there doesn't seem to be the urgency about it as in Africa. When politics do come up in conversation (and there are some days when they don't), there are many times it seems like we gripe just for the sake of griping (the recent National anthem debate comes to mind). In some places, who's in power is a matter of life and death. I'm not saying Canadians need to sit back and simply let the government do its own thing, but it puts our privileged life* in perspective. It was in that frame of mind that I began reading Adichie's story. It's the story of Mrs. Njoku, whose daughter Sochienne is back in Nigeria from studying in the US. The two aren't seeing eye to eye, and haven't been since Sochienne has returned from her time at university. Sochienne no longer eats meat and worse, is super critical of the class system in Nigeria, especially their family's wealth. Focusing on all the overt political discussions in the story, I almost missed the obvious: that this was more about the relationship between the mother and daughter. Mrs. Njoku and Sochienne have grown apart. The daughter has gained experienced unique to her, and has developed a view of the world vastly different from her mother's. This isn't an "African" story, it's hardly even a "Nigerian" story. It's any of us that have left home as young adults and later returned, seeing things in a very different light. And especially true for those of us who've gone away to university, we often return, much to everyone's annoyance, thinking we have it all figured out. I appreciate hearing stories set in places and cultures so vastly different than mine but finding unexpected similarities. *I realize that not everyone in Canada has life easy, but I'm generalizing. Interesting review - and i like the way that you have drawn attention to cross cultural similarities as well as differences in appraches to politics etc. If you enjoy reading books about completely different cultures you may enjoy "Black Mamba Boy" by Nadifa Mohamed which I read and reviewed recently. My husband lived in nigeria for a year and loves all things Nigerian (well, as with all countries, that is not quite true) - so he will be very interested in your review. Fascinating review! Both of Adichei's novels are on my tbr list and at least one story from The New Yorker is bookmarked. I must read this author soon. Since I certainly had everything figured out after I started university, I will definitely have to read this story. Sounds like a great story. I think many of us can relate to the mother and daughter not seeing eye to eye. I read The Bowling Story this week. Excellent review. I like the way you made the connection between the story and your/our personal experience. Thanks for the link. I'm going to check out the author's stories. I read a Jack London story this week. It is here. Seems like and interesting story. I like the idea that it's not about some grand political statement. Generational gaps and strained parent/child relationships can happen anywhere. Another late in the day review. I read Telephone by John Fuller. I'm not sure what is going on here. It says there are 6 comments, and I definitely had 6 here before, but only 2 are showing up. Anyone know what's up? I've really enjoyed both of her novels and am keeping the short story collection in reserve: universal themes and skillful crafting. Not sure what's going on with Blogger - I can see all eight comments now. JoAnn: Okay, now I feel like I'm going crazy. I still can't see them all. Is there something offensive their that my brain is repressing, or what? I've even tried different browers (IE and Firefox and nothing). I see Hannah's, Loni's, then mine, Buried in Print and yours. There should be comments between Hannah's and Loni's, if memory serves. Incidentally, this comment should make 10. And now they're back. Yippee!